Rocky Point Music School is owned and operated by AMEB qualified music teacher, Kelly Langfeldt who personally does all the teaching at this studio. We are situated on School Road, Woongoolba just near the Woongoolba State School. We are focused on providing a high quality musical experience and use multiple sources of text, technology and supplementary materials to enhance new concepts. Music books can be purchased through us for the convenience of our students or a book list can be provided on request. 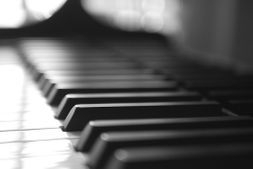 Music lessons are provided as individual lessons for the piano or keyboard, and students are welcome to learn for enjoyment or for exams. Look around our website and if you have any comments or questions, please feel free to contact us. We hope to see you soon! Check back later for new updates to our website. There's much more to come!